How do we fund our basic adult literacy program? Our signature fundraiser, Letters for Literacy took place on Feb. 22 at Ivy Tech Commons. We had eighteen teams compete in the competitive division and four teams compete in the fun division. There were four rounds of competition and the teams that scored the highest amount of points combined, we crowned the winners! The fun division was won by team, The Vowel Movements with a score of 864, second place went to SCRABBLE Slammers with a score of 812 and third place to Letter Rip with a score of 726. The Competitive Division was won by team, Hex Kex Lex with a score of 1499, second place to SCRABBLE Bliss with a score of 1437 and third place to the Poets with a score of 1326. 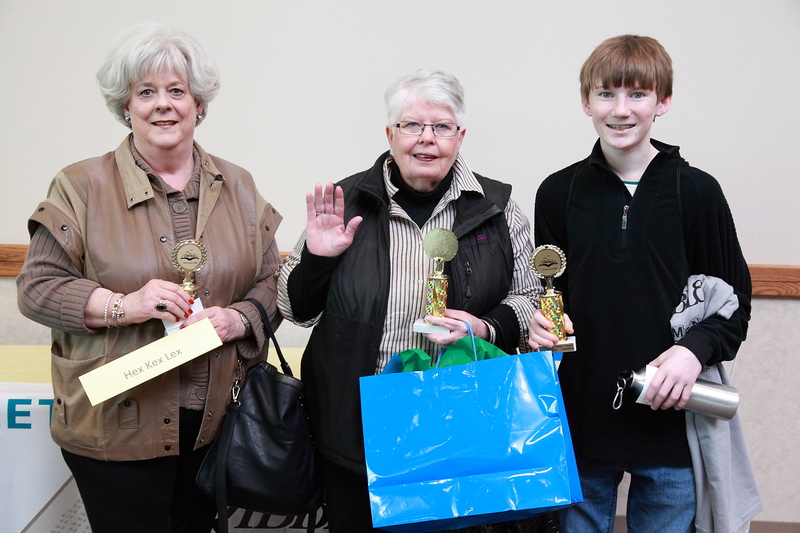 We congratulate the winners and each team that played in the tournament, not only for playing great rounds of SCRABBLE but supporting a worthy cause of helping adults learn to read. One in five adults in our own community struggle with reading and our program helps them reach their educational goals with funds raised by friend/fundraising events like our signature event, Letters for Literacy SCRABBLE Tournament and Auction. We greatly appreciate our sponsors: Ivy Tech Community College, SABIC, West Side Nut Club, Berry Plastics, The Pacetre bake and brew, Heritage Federal Credit Union, Hamlin Equipment Rental, Medical Cosmetic Center, Old National Bank, Evansville Courier & Press and Pro Mark. We couldn’t do it without the support of these sponsors. We also couldn’t do it without the volunteers. Thanks to Julie Angle, Valerie Bush, Nancy Jobe, Jeanette Maier, Tanana Mahood, Rachel Nadeau, Kate Sherrill, Liz Walker, Nan Benedict, Jennifer Briggs, Amy Bouchie, Katy Dunigan, Kathryn Gieneart-Nix, Denise Johnson-Kincaid, Leslie McCrary, Stacy Newton, Larry Oathout, Maddison Seib, Ron Whitler, Rick Wigginton, Christy Deputy, Reece Dewitt, Lori Saxby, Wendy Faust, Jennifer Reed, Gelina Mascoe and also to the volunteers that did not sign in! So we raise funds with wonderful creative events that bring together friends and fun. We are looking forward to our next event Crop for Literacy on July 26, 2014 at Harrison College. I can’t end the article without mentioning our new event this year, Spell for Literacy, A Grown Up Spelling Bee on October 4, 2014 at Tropicana!